Firstly, what is Feng Shui? Feng Shui, pronounced "Foong Shway", is an ancient art and science developed over 3,000 years ago in China. It is a complex body of knowledge that reveals how to balance the energies of any given space to assure the health and good fortune for people inhabiting it. The ancient Chinese believed the balance of energies [yin and yang], was vital to the prosperity of the nation and its inhabitants. The five feng shui elements – earth, water, fire, wood and metal form important components of feng shui and have their origins in Taoism. Where do Wind Chimes Fit Into the Feng Shui Philosophy? We are constantly surrounded by good and bad sound, positive and negative. Natures sounds, such as birds singing, the wind in the trees, the sound of rain, each connect us with our environment. 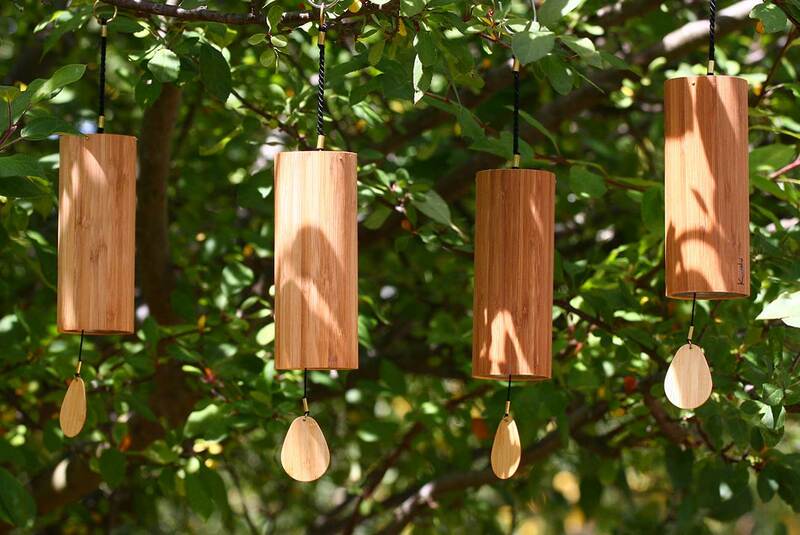 Perfectly tuned wind chimes enhance the sounds of nature and help create a flow of positive energy. On the other hand, wind chimes that are not in tune can create the opposite energy flow. 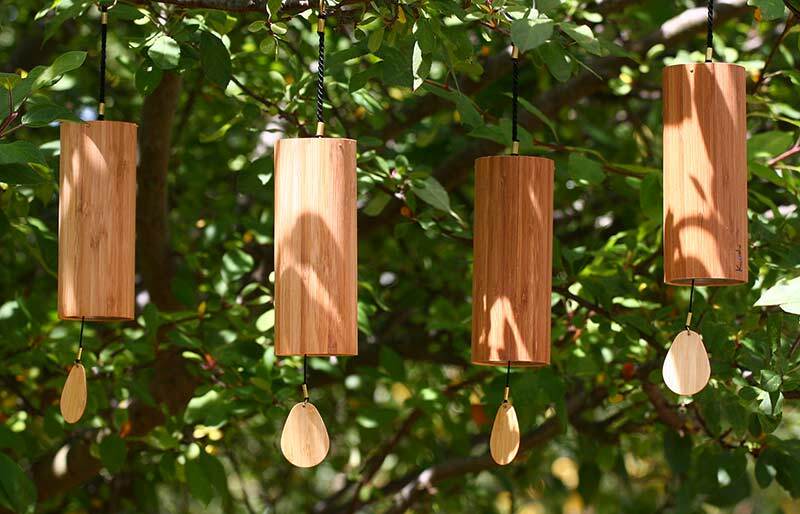 Precision tuned wind chimes can help to counteract the negative energy flow caused by unnatural sound caused by traffic, machinery, loud music etc. Koshi Chimes are perfectly tuned wind chimes, they have beautiful melodies and are very calming. The four melodies – Terra, Aqua, Aria & Ignis (earth, water, air & fire), together with the use of bamboo and metal used in the construction of the chimes, combine the five basic elements of feng shui. Where to place wind chimes? According to early Chinese folklore, chimes were hung in doorways to keep out evil spirits, and other negative energies. Entrances, porches, verandahs and under eaves are ideal places to hang wind chimes, to encourage positive energy flow into you home or work space. Though, make sure they do not cause an obstruction to those entering the dwelling. Feng Shui suggests that the North West part of an area is also a good place for wind chimes - near statues, archways or circles. A combination of movement and stillness can be complimentary. Hanging them near running water may also be a good choice. Try not to hang the chime where it will clash with any other ornamentation. Feng shui does not recommend clutter and so chimes should be hung in a space free from too many other things.